William F. J. Ardinger is a shareholder and the Treasurer of Rath, Young and Pignatelli, P.C. He serves on the Firm’s Executive Committee and heads the Firm’s Tax Practice Group. Bill focuses his practice on U.S. federal and state tax matters, business transactions, financial and wealth planning, and public policy issues. He assists clients in structuring business transactions in a tax-efficient manner and planning multi-jurisdictional business structures and systems. Bill represents clients before Congress and State Legislatures on initiatives involving tax, budget and economic development policies. Bill and the Firm have been instrumental in New Hampshire’s initiative to become one of the nation’s leading jurisdictions for the conduct of trust and fiduciary service businesses. Bill spearheaded the lobbying effort to enact the legislative framework for the initiative: authorizing trust instruments to opt-out of the rule against perpetuities (2003); enacting the Trust Modernization and Competitiveness Act of 2006; authorizing “decanting” and self-settled asset protection trusts (2008); codifying a unique statute dedicated only to “family trust companies” (2010); confirming that the “benefit of the beneficiaries” rule is subject to settlor intent (2011); and eliminating any tax or tax reporting obligation for trusts (2012). Bill and the Firm regularly represent clients before the New Hampshire Banking Department. This work has included: representing families and family offices seeking to charter Family Trust Companies under New Hampshire law, including assisting the first Family Trust Company chartered under the ground-breaking 2006 law; assisting a regional bank and trust company to charter a non-depository trust company primarily to better serve high-net worth clients; representing large, national institutions to establish non-depository trust companies to serve as custodians/trustees of 401(k) plans and other accounts; and helping various clients with respect to general compliance with New Hampshire laws. 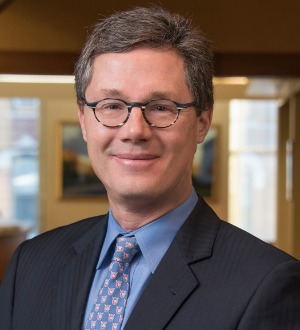 Bill is recognized in The Best Lawyers in America for tax law, and he is recognized as one of the leading corporate/commercial/tax lawyers in New Hampshire by Chambers USA: America’s Leading Business Lawyers. Bill is recognized as a leader on corporate governance matters, including advising clients on corporate governance structures that achieve client objectives while satisfying corporate law and other regulatory requirements. Bill has served as a member of numerous non-profit and professional governance boards, including service as a member of the University System of New Hampshire’s Board of Trustees, as Chair of the Governance Committee and Vice Chair of the Finance Committee. Prior to joining Rath & Young in 1989, Bill practiced with the Washington D.C. law firm of Patton Boggs, where he represented clients on tax and public policy matters. During college, Bill was elected to the New Hampshire House of Representatives where he served on the Ways and Means Committee. Bill lives in Concord, New Hampshire with his wife, Kassandra Spanos Ardinger. They enjoy hiking with their dog, skiing and visiting their three adult children.